On 1 November 1858, Queen Victoria formally extinguished the fires of the great rebellion of the preceding year with a historic proclamation. Two pages of grandiloquent text was all it took to inaugurate a new chapter after the “mutiny", and possession of India was transferred from the bloodied hands of the East India Company to the custody of the British Crown. Everything was infused with the moral legitimacy of a maternal sovereign, her words offering a world of guarantees, from territorial integrity for princely states to freedom of religion for the masses. Writers on all sides descended into ecstasies about this “Magna Carta of Indian Liberties", though bureaucrats in actual command prevented too liberal an interpretation by the queen’s new subjects. But for all that, the proclamation generated a sweep of goodwill across the board—a clean slate for colonial officers, and hope for India’s earliest generation of nationalists. And in the meantime, Queen Victoria was also transformed, becoming India’s own Victoria Maharani. The process was a fascinating one, despite its unequal politics. From the very start, the queen had shown interest in matters Indian, often revealing a broadness of mind that horrified the men who really operated her government. 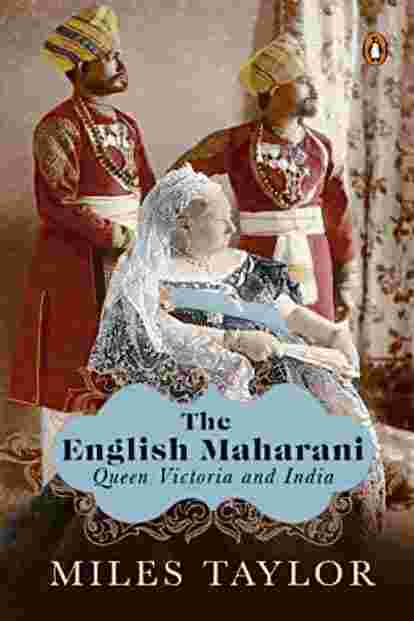 As Miles Taylor argues in his excellent new book, The English Maharani, if the queen was magnanimous it “always came from belonging to the winning side". But even as she collected baubles and gems from the subcontinent, there was an awkward sincerity to her politics. The proclamation itself was a document with which she was not satisfied: she wanted a firm statement that Indians would be “placed on an equality with (all other) subjects of the British Crown", a proposal Parliament watered down to a vague line on her “obligations of Duty" towards India. Elsewhere, she won—while an earlier draft loosely committed to the “relief of poverty", Victoria revised this to promise Indians “peaceful Industry", “Works of Public Utility", and a government “for the benefit of all Our Subjects" whose prosperity, contentment, and gratitude were tests of its success. Of course, what followed was revealing. To successive viceroys appointed in India at the head of an extractive state, the queen’s proclamation of 1858 was held up as a mirror of shame. As late as the 1890s, Dadabhai Naoroji’s campaigns in Britain cited the promise of 1858, while in 1908 Mahatma Gandhi was referring to the proclamation to demand rights in South Africa. The proclamation became the standard against which the Raj could be judged, and everyone, from dethroned princelings to people fighting property disputes, appealed to Victoria’s words—and often directly to her—to live up to its meaning. Even the introduction of income tax was lambasted as flouting guarantees in the proclamation. So the men in charge found a typically British solution to play things down: a protocol was evolved to determine which petitions actually reached Victoria’s desk and, as Taylor records, soon “the Government of India (was) transformed from postman to the sovereign to censor of the royal mail." It is politics at the highest levels of state that Taylor highlights, but the picture he paints is vivid without being uncritical. For Victoria, India opened up something new on a deeply personal level: renewed relevance. “Denied a political role at home" by constitutional convention, he argues, “she found it instead in her Indian dominion". From the 1840s, for instance, she corresponded privately with viceroys, and while this still offered a lopsided picture, it eliminated some filters installed by officialdom in London. While reports of atrocities against British women during the 1857 rebellion appalled her, she soon suspected sensationalism in the press, asking for evidence. And she revelled in the adulation that came from India’s elites—whose nationalism at this stage did not sit in opposition to loyalty to the queen—as they composed poems comparing her to Hindu goddesses. Her affection for her Hindi munshi is, of course, well known, and even from afar India came to mean something special for her in a way it did not for others in her establishment. Miles Taylor’s book sheds new light on Queen Victoria’s relationship with India. Naturally, Victoria also grew defensive of her position. During the celebrated 1875-76 tour of the country by her son and heir, Edward VII, she was determined to ensure that the masses did not mistake him for their sovereign. Much to his irritation, she made it clear that he was the Viceroy’s guest and not her representative. “She even," notes Taylor, “refused to countenance the prince conveying a message from her to the people of India." In fact, when the tour became a success, the queen chose to orchestrate a grand event of her own to surpass it: the assumption of the title “Empress of India". It was another matter that the innovation was received with borderline hostility in Britain itself, for powerful sections in the House of Commons were appalled by this gaudy claim of imperial status. The queen was furious, but the episode also highlighted the utility India held personally for her—her daughter, married to the German crown prince, was set to one day become an empress, and Victoria could not imagine being outranked by her offspring. Her son meanwhile used the occasion to pay his mother in her own coin: he famously wrote to the prime minister that he had no desire to be styled His Imperial Highness. In the end, as Taylor argues, Victoria represented something for everybody in connection with India, becoming a bridge between competing ideologies and identities. To the British, she could be used to contain the earliest stirrings of Indian nationalism; to Indian nationalists, her proclamation allowed for calls for reform to be issued, couched in a language of loyalism. For Victoria herself, meanwhile, India offered both an empire and queenly purpose, carving out an unparalleled position that no British monarch after her was quite able to emulate—or imitate.